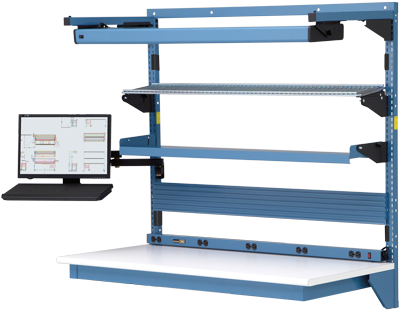 MTS System II upper structure for stand alone workbenches utilizes a two-vertical-post design. The absence of a middle vertical, as used on the MTS System I, allows the mounting of full length accessories such as shelves, parts cup rails, and electrical channels. The MTS System II is also available for Instrument Shelves. 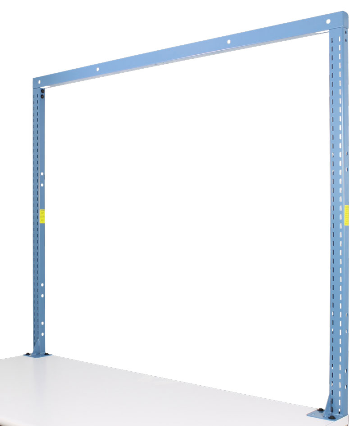 For an upper structure that allows half length shelving, please see our MTS I.